This is part of our Legislative Series, which explores our policy priorities. Check out the other episodes in this series on first episode psychosis and substance use. A crucial part of mental health and substance use recovery is the ability to live independently in the community. The availability of safe, stable and affordable housing is a vital index of community well-being, and an important point of focus for policy. Having meaningful housing options isn’t just a matter of shelter, or a roof over one’s head. It entails providing occupants access to appropriate services and enough agency to live, in the words of the Corporation for Supportive Housing, “with stability, autonomy and dignity”. In this episode of our Into the Fold podcast, Hogg Foundation Policy Program Specialist Tanya Lavelle tells us how supportive housing options can assist individuals on their path to recovery. Building on her own research and experience as a former Hogg Foundation Mental Health Policy Fellow, she also explains why supportive housing increases the effectiveness of mental health policy in Texas. Greater availability of supportive housing helps not just people living with severe mental illness and people in low-income brackets, but the community at large. 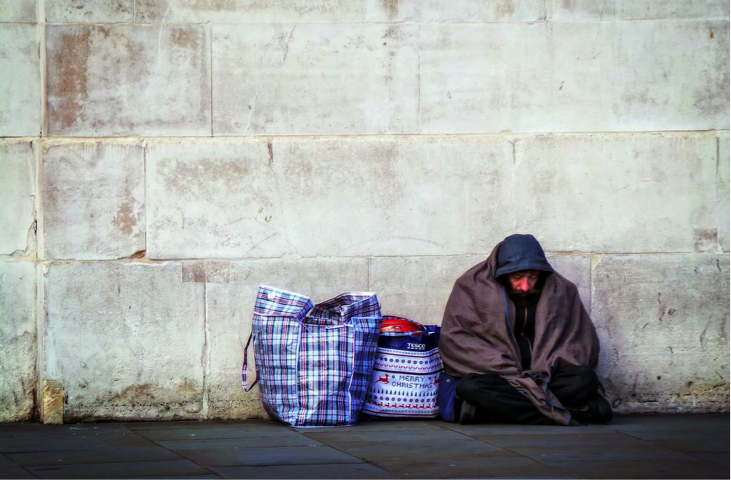 The U.S. Interagency Council on Homelessness reports that taxpayers pay as much as $50,000 a year when an individual remains chronically homeless. Looking beyond public expense, however, at key health outcomes can provide more insight into the pervasive nature of housing problems—and demonstrate the real need for holistic solutions. According to Lavelle, supportive housing has been connected to notable reductions in hospitalizations, crisis services and homelessness—as well as a far greater likelihood of recovery. By involving agents like a local mental health authority or case management services, supportive housing can help individuals feel like they have an active role in building their own future. In her second year as a Hogg Foundation Mental Health Policy Fellow at Easter Seals Central Texas, Lavelle conducted research on supportive housing. While traveling across the state to gather data, she met people with firsthand experience of homelessness who could testify to the extraordinary difference in quality of life before and after being housed. Because most funding streams behind housing programs are federally regulated and difficult to understand, their potential for strengthening mental health policy tends to be overlooked. In some Texas cities, the wait for Housing Choice Vouchers, the main federal program designed to provide housing assistance, can be as long as three to five years. This past interim session, however, a renewed interest in mental health at the Texas Legislature brought attention to the power of person-centered initiatives like the Supportive Housing Rental Assistance Program, which provides short- and long-term housing assistance to people who are homeless or at risk of becoming homeless. Due to an information request to Texas Health and Human Services made by Representative Armando Walle, we know that the average per person cost to help a person become successfully housed through this program is around $2300—drastically lower than in-patient services in Texas, which amount to an average of $675 per day. More than just providing participants with rental assistance until a housing voucher becomes available, the Supportive Housing Rental Assistance Program allows them to direct their own services in collaboration with a case manager—giving them an opportunity to tailor their path to recovery to individual needs and aspirations. A Guide to Understanding Mental Health Systems and Services in Texas, 4th ed. Learn more about our podcast and check out other episodes!